Sometimes a good message just needs a makeover. 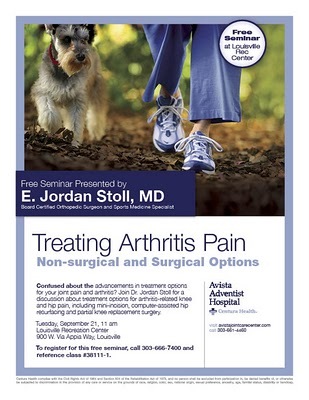 That was the case with these joint care seminar ads, that had run for several years and were starting to tire. 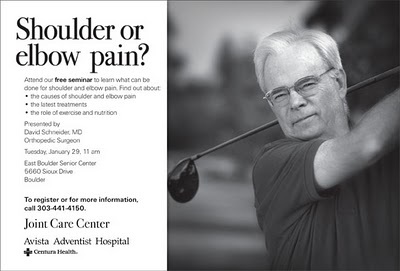 Using the same photos and message strategy, we worked with the client to revise and refresh these ads which served as a template to promote on-going seminars. By changing just the seminar information, these ads provide a cost-effective way to professionally promote these events without creating new custom ads for each one. In the new ads, the client wanted more prominence for the featured physicians—and needed the ad to conform to their new corporate graphic standards. Here's a before and after of the ads. What do you think?